When Mike, Mark and I worked at Google a process we used to follow every quarter was giving and receiving 360 feedback on people we worked with. It was a really good process for hearing directly from your peers and direct reports about what you could work on and improve in your day to day activities. 1. We had everyone on the Shoes of Prey team complete a Google form listing 4 people they'd like to receive 360 feedback from. 2. Lydia (who has taken on a HR role within the team) then collated these requests, balanced them so no one was asked to give feedback on more than 6 people, then emailed everyone with the list of people they were required to give 360 feedback on. How well does the team member "Passionately Create Happiness" around the office? How well does the team member "Constructively and Thoughtfully Communicate" with other team members? How well does the team member "Make a Big Impact"? Describe this team member's greatest strengths. Describe this team member's biggest areas for development. For each question we ask for specific examples to back up your score. For the first 3 we ask how you'd score this team member on a scale of 1-5, this overall score on each of our 3 values highlights for the team member which values they're living well, and which they can focus on to improve. 4. Lydia collates the feedback into a report and anonymises any answers that can be identified back to the feedback giver (unless the feedback giver has said it's ok for their feedback to not be anonymous). 5. The team member's manager presents the 360 feedback back to the team member, and discusses with the team member what they do well and how they can improve. 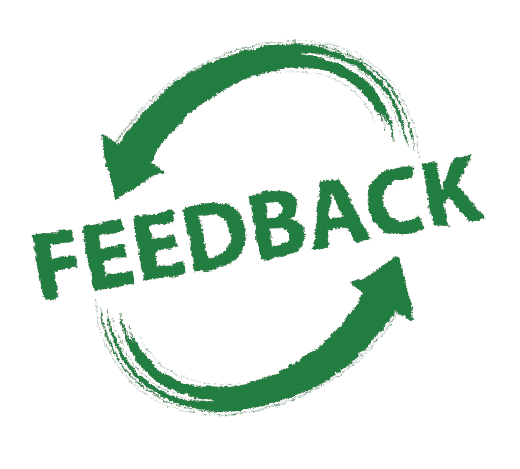 The process has worked incredibly well for both rounds of 360 feedback we've now completed. Everyone on the team has received feedback on their strengths and the process has helped unearth some key areas for development which we've all focused on. In particular, 6 months ago the biggest area for development that came out of my feedback was that I needed to improve communication across the business. In the 3 months prior to the feedback process we'd doubled in size from roughly 12 people to 25 following our Series A funding round. With 12 people it was easy to overhear conversations in the office or catch up around the lunch table, but this process fell apart and stopped working once we doubled the number of people. Based on the feedback I spent some time researching how communication worked in other businesses and we settled on a 'Daily Huddle' process which has been working extremely well. Blog post on this to come! Without the 360 feedback it would have taken us longer to unearth and for me to enact on this communication issue in the business. In the most recent 360 review my biggest piece of feedback was that I've been spending too much time out of the office and this is impacting our culture, posing challenges for my direct reports and making it harder for us to make the quick decisions we need to make in a startup. In the last quarter I spent time out of the office for the WPP Stream Unconference, working with a group of other entrepreneurs and tech industry people on improving Australia's tech startup ecosystem, with the Entrepreneurs' Organisation that I'm part of as well as the usual array of external meetings with investors, potential new hires, marketing partners and others. All up I'd calculate that I was out of the Sydney office around 30% of the working hours during the quarter. This quarter I really need to dial this back. Some of these tasks are important, some of them I need to de-prioritise. So based on my 360 feedback my focus for the next few weeks is cutting back on some of these activities. Do you have a 360 feedback process in your organisation? How has it worked for you? - 360 is great at identifying highly specific behaviours whereas crowdsourcing is more open ended. - Crowdsourcing is less formal and can be used at a moments notice. whereas 360 is more formal and not suitable for use at a moments notice. One of the problems I faced as a manager was having regular one-on-ones with team members who I wasn't working closely enough with on a day to day basis. It's difficult to have a meaningful conversation on the things the team member is doing well and areas they need to develop if you aren't directly observing the person on a day to day basis. This is particularly problematic if you have been coaching someone for a period to improve some skill or behaviour. If you aren't working closely enough to see how the skill/behaviour is improving, you can't coach properly. To solve this I crowdsource with a select group of people who are working closely with the team member. They provide the insights that help me prepare and have a meaningful discussion with team members. 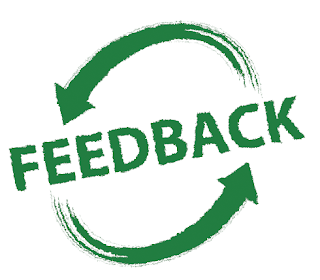 I don't present each respondent's feedback directly. I only use it as a tool to prepare for the one-on-one.